Next to Arashi and CNBLUE, I fangirl pandas. They’re stress-free than idols and I guess it’s more embarrassing to be dubbed a panda hater than an anti-fan so the panda fandom is virtually free of negativity. 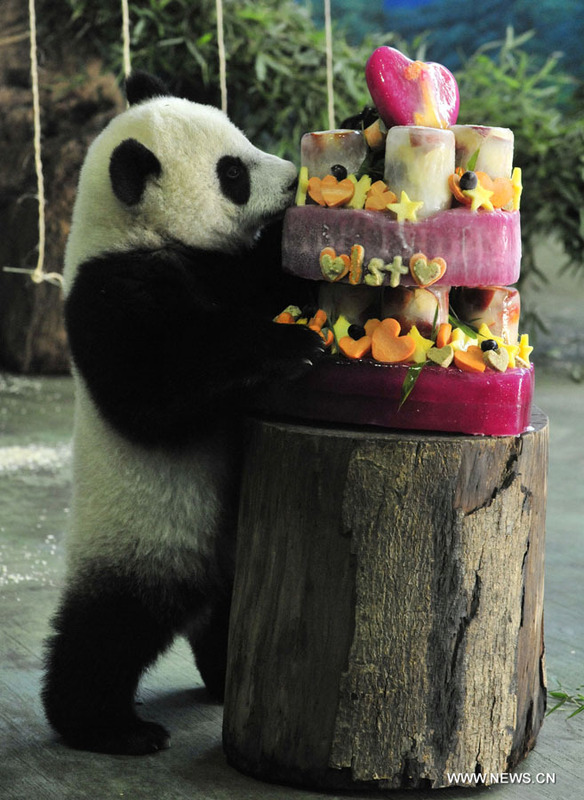 Yesterday, Taipei Zoo’s Yuan Zai turned one. When was it when baby dumpling had to be separated from her mother because of a wound and was reunited a month later. That panda has grown up and is an adorable enfante terrible at the zoo. She’s the real Taiwanese idol, by the way. ← [blog] NOOOO!!! DAME! DAME! DAME!! !